Missed an interest meeting? Check out the power point doenloadable at the bottom of this page! 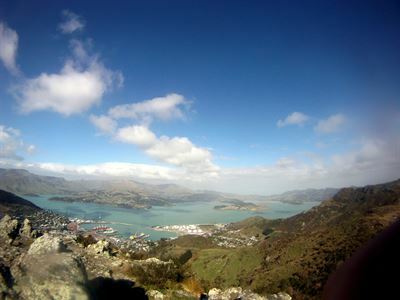 Study Computer Science in New Zealand, a dramatic country full of spellbinding natural scenery, rich culture, and epic adventures. Students will also enjoy the active, creative, and friendly community in Christchurch, New Zealand. Engage and inspire yourself and the next generation of computational thinkers through learning, teaching and creating web-based learning games. Based at the University of Canterbury, you’ll interact with faculty, students,and elementary and middle school teachers and students as you study Computer Science. Students interested in a bit of computer science beyond their first course learn CS concepts through teaching middle school students and taking the computer ethics course. CS students follow the software design process to design, build and deploy web-based learning games and participate in either computer ethics or field experiences in assisting youth to learn CS. All students collaboratively build their communication skills through field experiences in facilitating CS learning or community engagement game exhibits. This winter session program takes a variety of excursions to support the teaching experience and game development through visits to schools and businesses in Christchurch and Nelson. Students may register for any 2 of 3 courses: CISC 355, CISC 357, or CISC 374. CISC 355 satisfies a CS Major requirement or a university breadth requirement. CISC 357 satisfies a CS Major concentration or CS minor elective. CISC 374 satisfies a CS Major technical or concentration elective requirement. Students reside in apartments on campus. All meals are included while residing at U. Canterbury in Christchurch. Students are responsible for their own meals during the excursion to Nelson. Whether you’re interested in Computer Science, Education, film locations for Middle Earth or mountains/glaciers/rivers/fjords/beaches/kayaking/hiking/stargazing, the Winter Session in Christchurch, New Zealand is your opportunity to experience the wonder of nature and active learning. Find out more about the program from past participants by reading their posts on the IGS blog! The Program Fee includes housing in shared on-campus apartments in Christchurch, all program-related events and excursions, most meals, in-country transportation, and international medical insurance. The Program Fee does NOT include airfare to/from New Zealand, nor airport transfers within the U.S. The program officially begins when students arrive in Christchurch. Students will receive detailed travel instructions after acceptance, explaining how and where to purchase their plane ticket. See the Cost section below for estimate airfare. For this program, students will be given recommended flight itineraries for traveling together. Honors credit may be available. Check with the faculty director and the Honors program for approval (check before departure). Explains relationships among information technology, society and ethics by examining issues raised by increasingly widespread use of computers. Topics include ethics for computer professionals, computer impact on factory work, office work, personal privacy and social power distribution. Restrictions: Cannot be used as a technical elective for CISC or INSY majors or minors. Introduction to computer science teaching methodology which is immediately put into practice in local schools. Lectures hone teaching and classroom skills while examining the state of CS education in terms of pedagogy, AP exams, and K-12 requirements. Students produce written lesson plans, journals, and collaborative projects. Experience the software engineering process through creating educational games for youth; open-ended, project-oriented team learning while assisting regional teachers in integrating computing and computational thinking into the classroom; interact with teachers as clients, hone communication skills and experience design-studio-based critiques of your ideas. Does NOT cover: airfare to/from the program site and ground transportation to/from the U.S. departure airport. For planning purposes only, we estimate roundtrip airfare to be approximately $2,700.00.  The University of Delaware’s differential charge for Engineering, Nursing and Business & Economics students does not apply to winter or summer session and is waived for students enrolled in semester- or year-long study abroad and exchange programs sponsored by the University.